Jerry Klinger is currently President of the Jewish American Society for Historic Preservation (JASHP.org). JASHP has completed scores of projects reflecting on American commonality in 33 states and in five countries. Seven million people annually benefit from one of JASHP’s efforts. 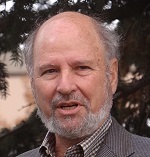 Jerry Klinger has written over one hundred articles for print and online media. He has been a speaker on TV, radio, podcasts, and in community settings. He has a B.A. and an M.A. in American history from the University of Maryland. He has done Doctoral work at the University of Maryland in American Studies.